We know all of you want that your house looked great and beautiful. 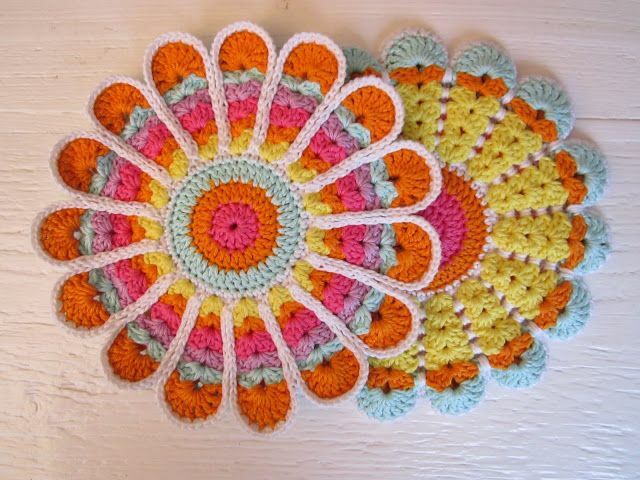 We want to help and have searched for you attractive mandala potholder design which will make your tables more beautiful. If you have some free time for your hobby and you want to make your home interior more attractive and cozy for your guests this lovely design is for you. You just need to choose colors and start crocheting now alone or with your friends. Free pattern is explained clearly with pictures and we hope there will no problems with understanding. Thanks to author Rae Blackledge and good luck to you.